In the garden or when camping: You are always able to find a tree or a wall, only a second appropriate hanging point is often lacking. To fix this problem we have for years been producing a solution that can fix this issue: The weather proof ashwood stand is anchored in the ground with a ground peg and voila; the second tree is ready and the hammock can be hung up. Madera can be easily dismantled without screws, reducing packing volume when camping. 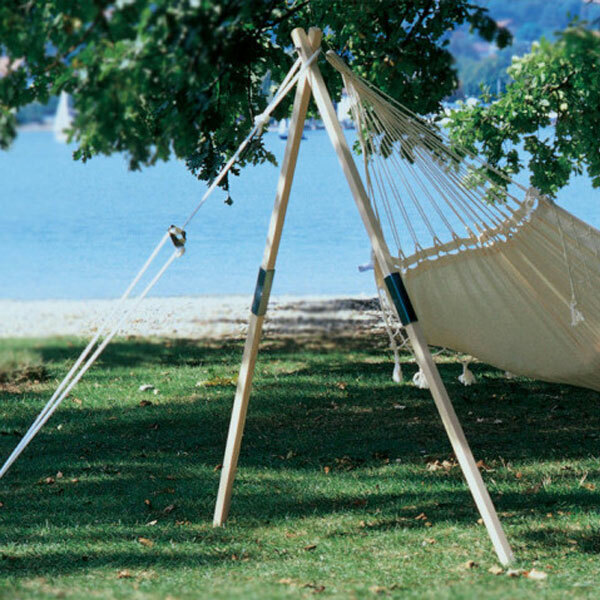 Please note that this stand does not come with a hammock. You can browse our entire collection of hammocks here.